We don't just sell you the kit, we can build them for you as well! Not everyone who want one of these fantastic tanks would want to build one themselves. You may not have the time or simply want it built as a present for a loved one. 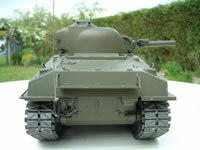 We can supply the model kit, build it to a high standard and deliver it to you in a ready to run condition. This page will give you some idea how we go about this. Email us for more details. Model is assembled from new according to supplied instructions. 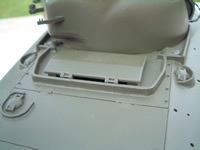 All metal parts are first primed using a suitable primer undercoat. 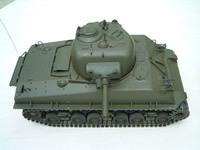 The entire model is then sprayed painted either in US Army Olive Drab for the M4 Sherman and M26 Pershing or German Grey for the Tiger 1E. All accessories are hand painted. We only use Tamiya material. All permanent screw and bolt fittings are secured using liquid threadlock to stop them working loose. Accessories are glued on last using superglue. We strongly recommend that you have a battle unit fitted at the same time as the model is built so that you can fight battles should you wish to in the future. Good preparation is the key! 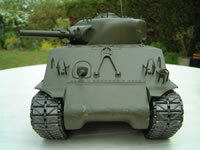 We shall be posting photo guides on how we go about building each of Tamiya 1:16 r/c model tanks. Here's some photos in no particular order of a M4 Sherman and a Tiger 1e we built for recent customers at various stage of completion. You can click on each photo to enlarge. 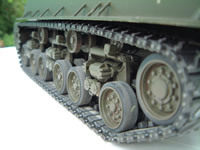 Please note this specialised service is only available for Tamiya's 1:16 scale full option complete kits supplied by Tankzone. Fully completed Tiger 1e with Battle Unit fitted ready for action. View from the top without detailing. 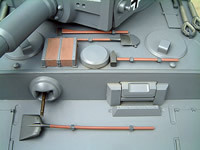 The click-on attachment next to the cannon is the Battle Unit laser emitter. 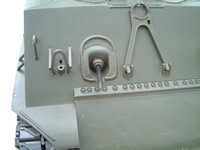 Front of Tiger 1e showing spare track on front of hull, machine gun and driver's opened viewing port. 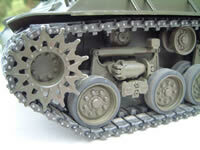 Closeup of sprocket wheel and working coil spring suspension system. Note wear on the cast metal sprocket to give that realistic effect. 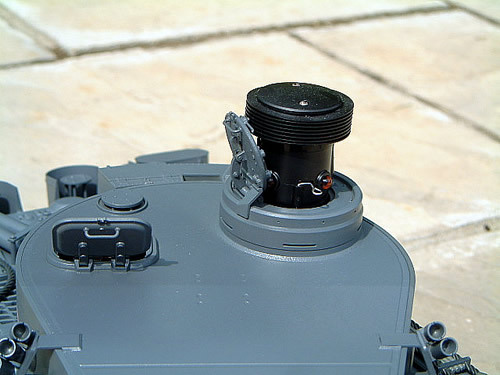 Top of Tiger 1e turret showing opened loader's hatch and Battle Unit fitted onto Commander's copula with hatch opened. 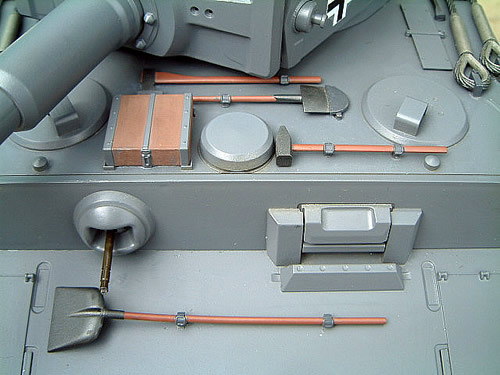 Closeup of firing machine gun with sound effect. It's made of metal casing with a tube of carbon fibre inside to create the flashing firing effect. The vent above the engine for the speaker. I normally set it to half volume. On full volume, you will wake up the neighbours! Note holes where accessories will be attached. 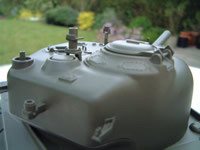 View from the rear of the turret showing the machine gun mount. Machine gun not fitted. 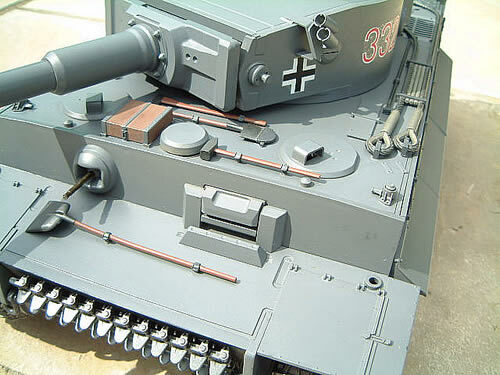 This machine gun is very accurrate and detailed and is a model in its own right! Rear view of Sherman. Note shelf behind engine compartment but without accessories. 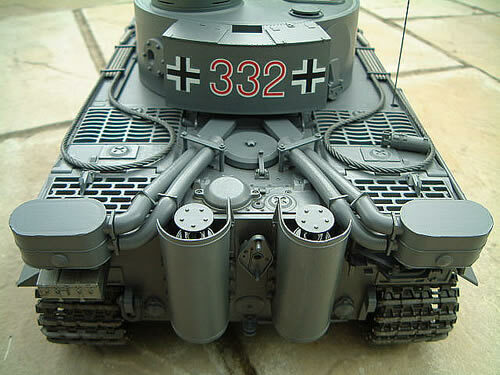 Rear of Tiger 1e showing detail of engine deck, air filters and hoses and shielded exhausts. 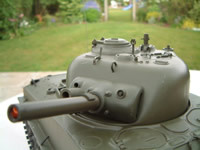 Front view of Sherman. 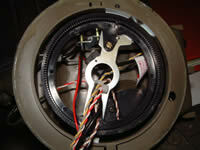 Note missing lights (not yet fitted) and hole for the wiring. This model has working lights front and rear. Close up of running gear from rear. Each pair of road wheels has its own independent suspension. The return wheel at the back is adjustable to vary the track tension. 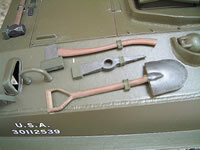 Tiger 1e hull deck front showing detail of tools and accessories. Each piece has been hand-painted. 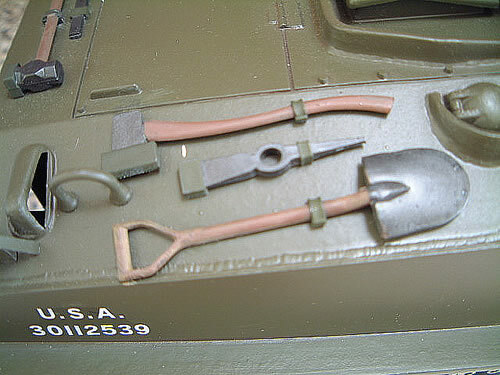 Right rear deck of M4 Sherman showing detail of tool and accessories. Each piece has been hand-painted. 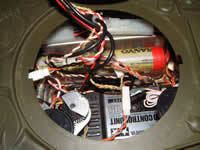 View inside the tank showing the electronic and battery. Note turret rotation gear bottom left. The wires will be tidied up when finished. The Sherman opened up. Note rotation gear for turret underneath top half. 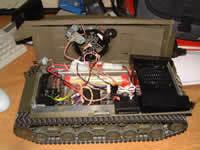 The speaker is the black box at the rear of the metal chasis. 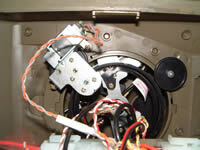 View inside turret showing rotation ring and motor (top of photo) for raising and lowering the cannon. The Sherman does not have the gun recoil feature. Closeup of the turret rotation motor and gears with turret attached. 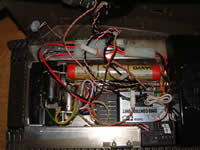 Closeup of inside showing DMD T05 control unit, receiver (bottom right), Twin motor gearbox and battery. 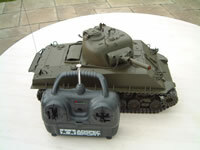 Sherman with 2 channel transmitter. 4 channel option isavailable to enable it to move and fire at the same time. 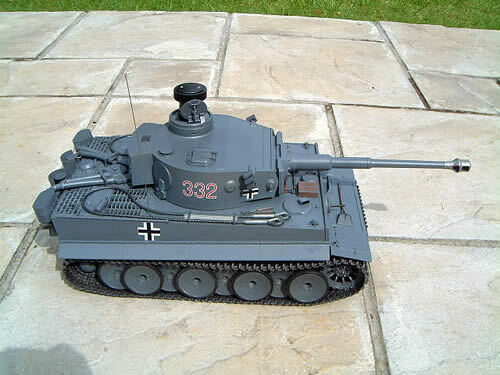 Want one of these fantastic tanks? Don't have the time? Want one as a special present for a loved one? We can supply the model kit, build it to a high standard and deliver it to you in a ready to run condition. This page will give you some idea how we go about this. Email us for more details.